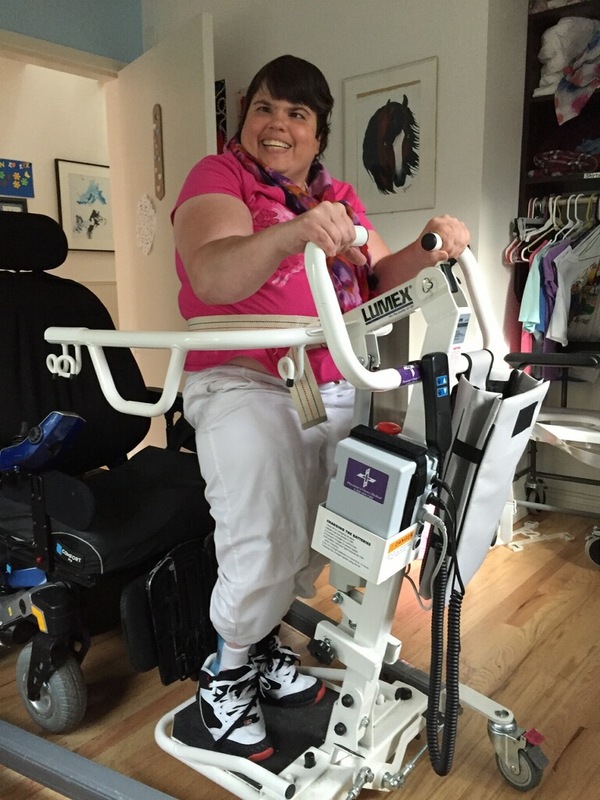 Here’s a picture of Karen, who lives in Imagine!’s Bob and Judy Charles SmartHome, using a cool piece of technology – a standing lift. The lift has given her more control when she transfers in and out of her wheelchair, and has helped her build up her lower body strength. Looking good, Karen!